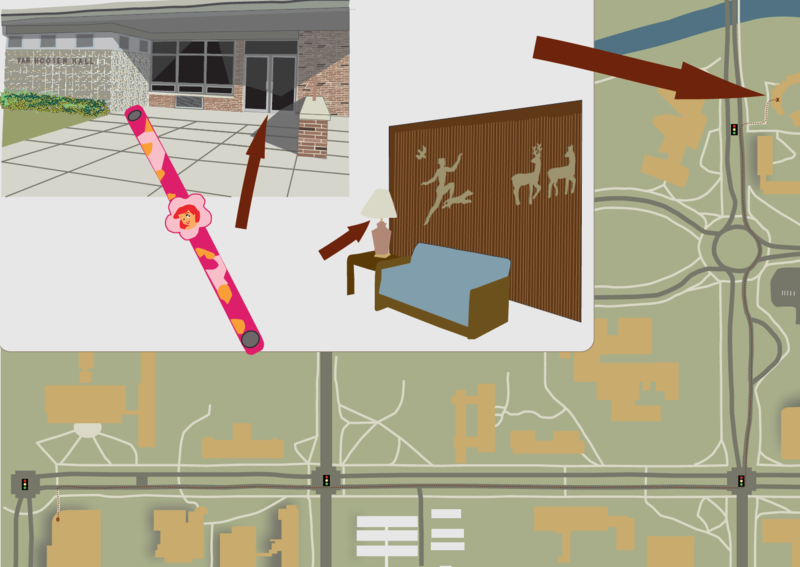 Created using Google Earth and Adobe Illustrator, this map was used to guide students to a specific destination on Michigan State University’s campus and help them locate a hidden item. This map fulfills this purpose using only images — no words (although the words “VanHoosen Hall” have been placed back on the image for the purposes of this portfolio). This piece demonstrates the importance of accuracy when making maps.